During the 1950s, our main playing field was put in trust to secure it for the village as an open space for sport and recreation. 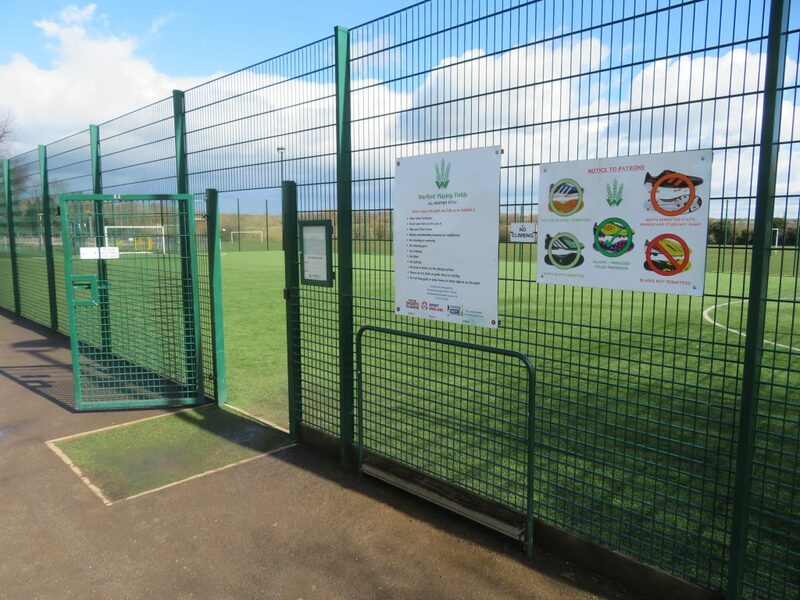 The playing fields are now made up of two full-sized football pitches, an artificial turf pitch, the three adult tennis courts, one junior tennis court and a play area for children and teenagers. All these facilities are a short walk from The Memorial Hall car park and are used regularly. Artificial Turf Pitch (ATP): Our ATP is the result of several years of fund raising and extensive consultation with residents. The requirement came from our Village Plan, which identified the lack of all-weather facilities in the village and the winter training needs of the younger children at our successful youth football club, Wheathampstead Wanderers FC. The ATP is open for casual use unless it has been pre-booked for an event. Please note: Bikes and dogs are not allowed on the ATP. Anyone that witnesses antisocial behaviour is encouraged to call the police on 101. 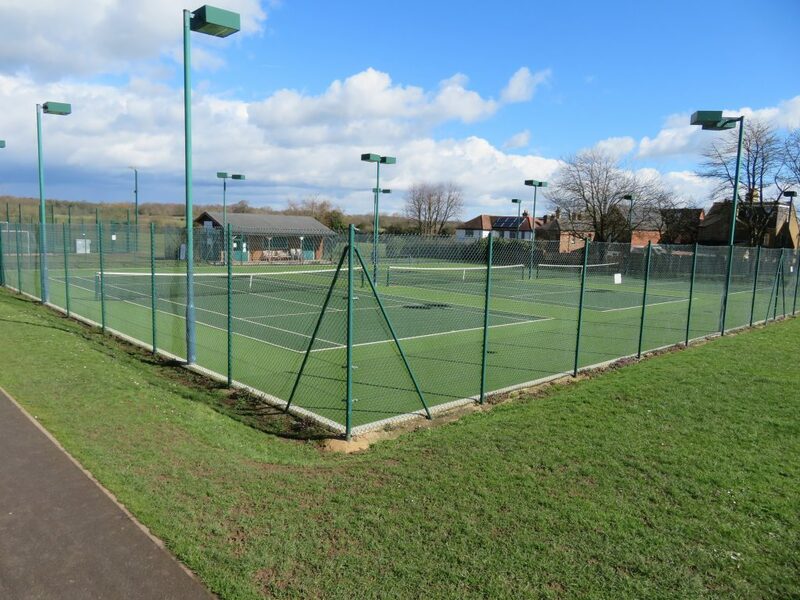 Tennis courts: Two of the three adult courts, plus the junior court, are owned by the Wheathampstead Lawn Tennis Club (WLTC). The remaining court is available to non-members (see below for info), however if you wish to play regularly, it is far more cost effective to become a member of the tennis club. 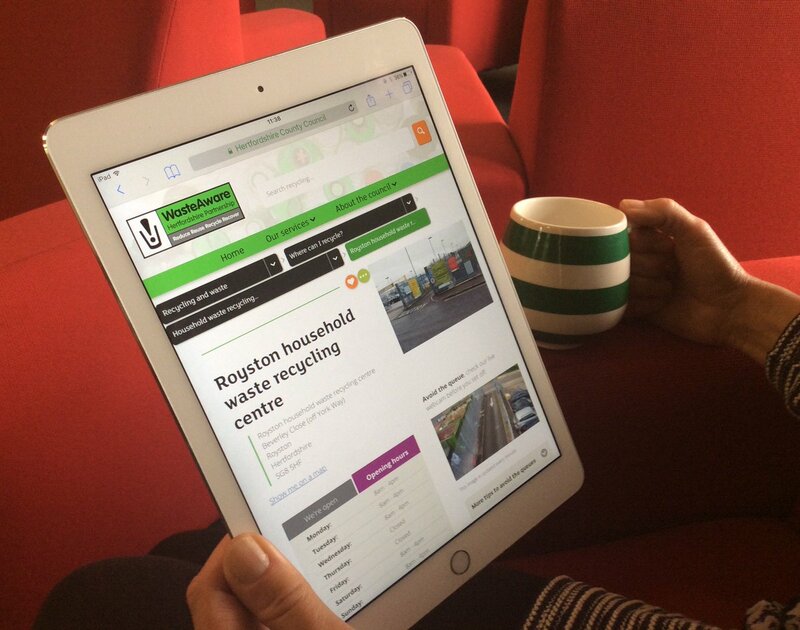 Visit the WLTC site for more information about how to join. Playing fields: The grass areas alongside the tennis courts/car park are available to hire. Full-size football pitches: These are not available to hire, as they are solely used by Wheathampstead Wanderers FC. To hire either the ATP or the playing fields, please contact the office to discuss availability. Once a suitable time and date has been agreed, click HERE to complete our booking form. The ATP is regularly booked from 4/5pm to 9pm most weekdays, so please bear this in mind. To hire the tennis court, you will need to come to the office and pay for your session with cash and collect a key. A £5 returnable deposit will also be required.